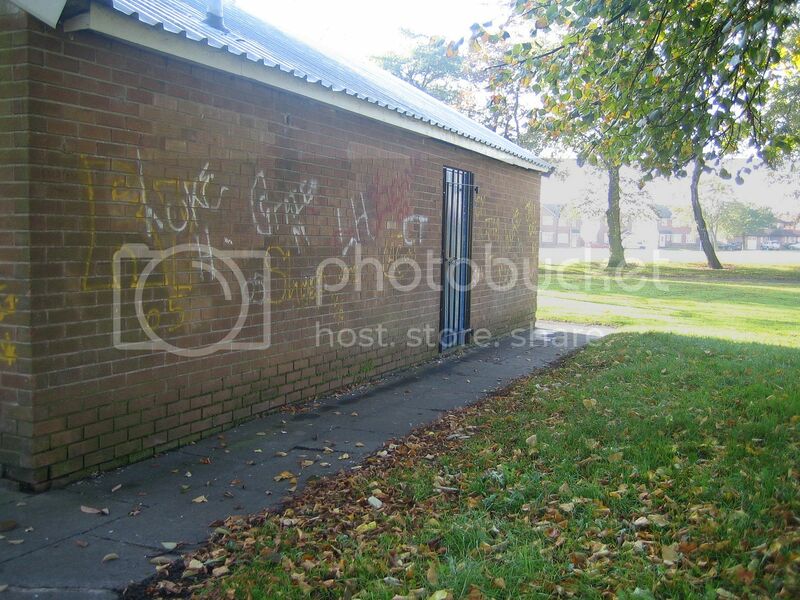 The dilapidated sports pavilion in the middle of New Ferry Park in New Ferry is to be refurbished at a cost of £65,000. The scheme is being funded jointly by the Football Foundation and Biffaward who are giving £20,000 and £45,000 respectively. The Biffaward element comes from taxes imposed on firms bringing rubbish to landfill sites in the region. Work commenced this week to turn the pavilion into a top-class changing facility for footballers and other sport/activity users in the park. A redundant storeroom in the building is being removed, and the remaining space divided into two separate changing rooms for home and away teams. New showers, toilets and lockers will be provided, along with a separate changing room for referees. New Ferry Regeneration Action Group submitted applications for the money on behalf of the various football teams who use the pitch in New Ferry Park after the teams were granted a 20 year lease on the pavilion building by owners Wirral Borough Council. The funding application was submitted late in 2010 by community organisation New Ferry Regeneration Action Group (NFRAG) who agreed to help the various teams who play on the pitch in the park with the bid. The footballers were concerned that the poor standard of the pavilion meant that the local Football Federation was refusing to allow major tournaments to be played in the park. Over 18 months of negotiations have followed, during which time the football teams, co-ordinated by local team coach Simon Crabtree, have now taken out a 20 year lease on the Wirral Council owned pavilion. The Council, who did not have the money to refurbish the pavilion itself, has supported the scheme since its inception. The final go ahead for the refurbishment was confirmed at the end of February 2012 when Biffaward and the Football Foundation agreed to jointly fund the scheme. Biffaward is a multi-million pound fund that helps to build communities and transform lives through awarding grants to community and environmental projects across the UK. The money is raised through taxes on waste brought to local landfill sites, and the pavilion in New Ferry Park qualified for the funding because it was within a close distance to the former Biffa landfill site at Bromborough Dock. The Football Foundation is the UK’s largest sports’ charity. Funded by the Premier League, The Football Association and the Government, the Foundation directs £30m every year into grass roots sport. The Foundation receives money from the very top of the professional game and also from the Department for Culture, Media and Sport through Sport England. It then uses this money to leverage even more partnership funding, to deliver a programme of new and improved community sports facilities in towns and cities across the country. There are a number of teams who use the pitch in New Ferry Park: New Ferry Wirral Hotel, New Ferry Rangers Open age, New Ferry Vets, New Ferry Rangers U14s, 11s, 10s, 9s, 7s and Under 10 girls.